Grip strength rocks! Whether you want to build a bone-crushing handshake for the business boardroom, improve sports performance, build functional, real-life strength, lift more weight in the gym, be ready for emergencies or never have to ask for help to open the pickle jar again, this post is for you! In addition, don’t forget that there is a difference between forearm strength and grip strength. While exercises such as wrist curls and wrist extensions can build forearm strength and size, they do not make your grip stronger. 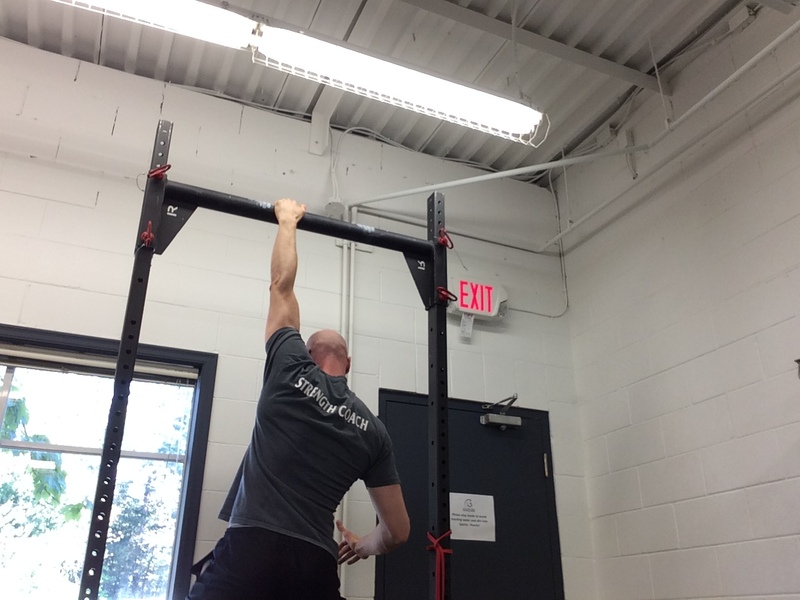 For years researchers have used grip strength as a fast, easy, low-risk way to gauge overall body strength. Why? Because for the average individual, a strong grip = a strong body. Yes, of course, there are exceptions such as the mechanic who does intense hand work all day or the really strong lifter who overly relies on straps. However, for most folks, there is a good correlation. I don’t have a naturally strong or muscular body. If you are like me, you will have to train a muscle directly to make it bigger or stronger. In the case of grip training, you will not build a strong grip without direct grip training. Another factor to consider is hand size. For example, I have relatively long fingers. As a result, I don’t get much grip work from just lifting stand-size barbells and dumbbells. 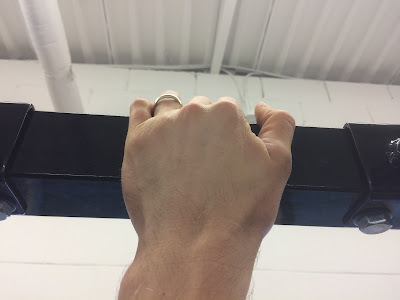 I know this is stating the obvious, but if you want a stronger grip, avoid the use of wrist hooks and lifting straps commonly used by bodybuilders. Another thing you can do is to avoid using chalk unless you really need it to make a big lift (e.g. when deadlifting). In addition, when I’m warming up for deadlifts, I always start with a double overhand grip and typically limit the hook grip or alternate grip for my work sets. One seemingly simple way to build a stronger grip is to simply take exercises such as deadlifts, rows, and pull-ups and do them with a thicker bar. While this seems like a fast, simple economical route, it may not be worth it. When you make these exercises too grip-focused, you miss out on their other benefits. For example, deadlifting with a fat-grip bar will build your grip strength. However, the limited weight you can use because of the fat bar will fail to overload your typical deadlift muscles (e.g. low back, glutes and hamstrings). In this case, it is probably best to deadlift as you normally would and then add extra grip exercises in afterward. Before you start adding grip exercises, remember that your grip is also involved in everything else you do. If you jump right into an intense grip-specialization program you can really mess up your soft tissues and likely get hurt. If you have soft hands, give your hands time to toughen up and build some calluses. Too much stress from grip training can impair your recovery and negatively affect your performance on other exercises. Instead, start with one exercise and do it for 1-3 sets, 1-2x per week. Then, slowly build up to 1-2 exercises, 2-3x per week. Unless you are trying to be an excellent grip specialist, this will likely be enough. 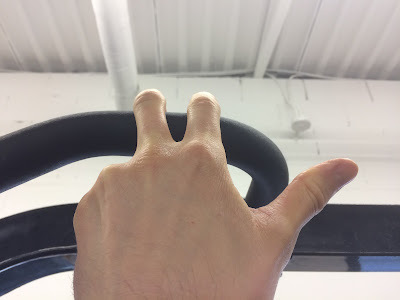 Some grip exercises will stress other parts of your body. For example, standing while holding a heavy barbell is great for your grip, but it places stress on your spine. 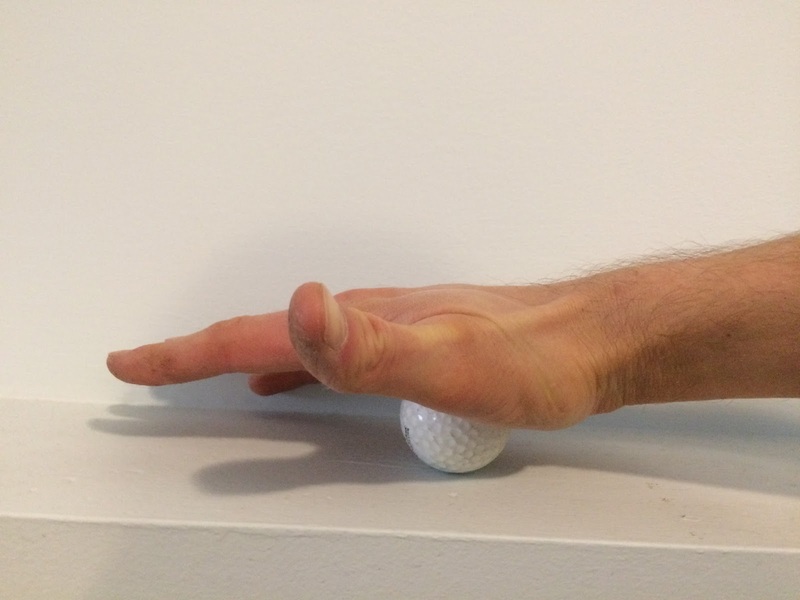 Intense grip training is also quite taxing on your CNS (central nervous system). Too many people think that by simply adding a bunch of exercises they will get better faster. Remember that more is not better – better is better. Instead of adding tons of grip exercises, take a few that are important to your goals and focus on consistently progressing them. If you get much stronger on important grip exercises, you will have a stronger grip. I know this sounds simple when you read it, but it needs to be said. The number of people out there who train but fail to apply simple, progressive overload to their training is staggering. Keep your calluses trimmed or filed. If they get too big, you can tear them and mess up a week or two of training. Train Hand Extension. Remember, your muscles come in pairs. If you only train one side, you can develop imbalances that can get you hurt. In addition, your body will only allow so much imbalance before you it stops progress to prevent injury. As with training any other muscle group, your training variables must be goal-specific. If you want a stronger grip, stick with around 5 reps or about 10-second holds. Higher reps or holds are fine if you want grip endurance. Crushing strength is dynamically closing your hands. Grippers are a great way to build crushing grip strength. While the little plastic ones you get at your local sporting goods store (you know, the ones that squeak and you have to do about 100 reps with to feel it), won’t do much. If you are serious, you need to get a serious gripper. There are many options on the market. One of the most popular ones is the Captains of Crush ones made by Iron Mind. 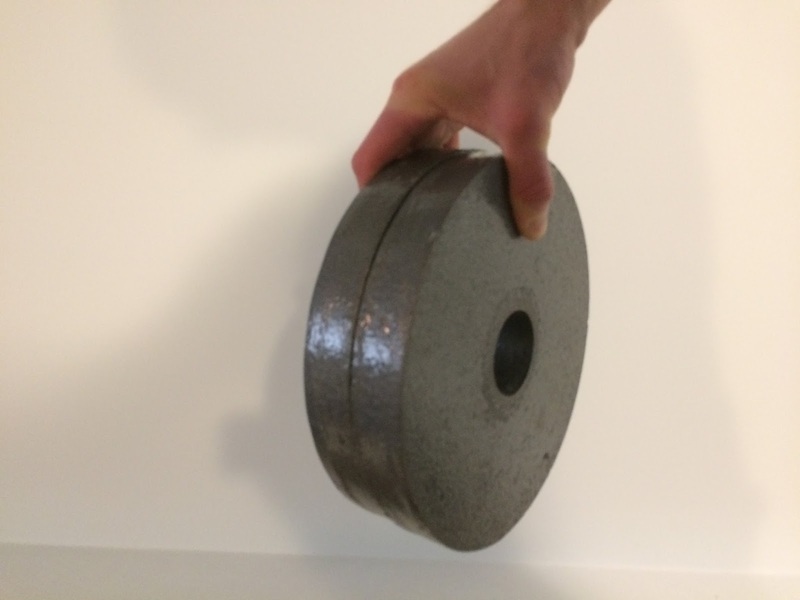 My personal favorite is the Ivanko Super Gripper. It is not only is it affordable, but it is adjustable. This model allows you to progress the resistance from 45-345lbs. In addition, while it is designed for dynamic crushing work, you can also just do isometric holds with it in the closed position to build supporting grip strength. If you have followed my work, you know I’m a huge fan of farmers walks. I love being able to build my grip, upper traps, upper back, core, and legs all at once. In addition, last year I re-tested my crushing grip strength and was pleasantly surprised to find out it had gone way up without doing any other direct grip exercises. This cool because farmer’s walks primarily work supporting grip strength. You can also build supporting strength through hanging from a fixed bar or object. This method is extremely effective (just look at rock climbers). 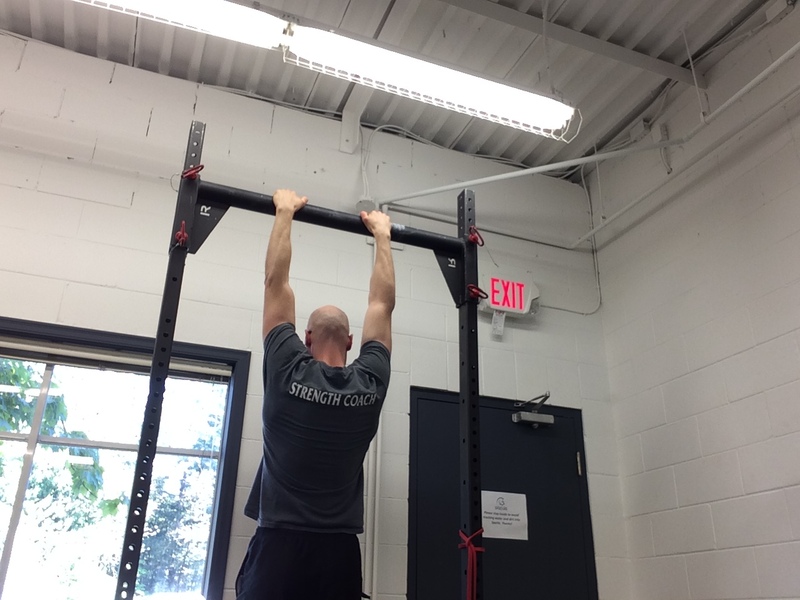 What I really love about hanging is that it also gives you spinal decompression (which is great for recovery from exercises such as heavy squats). object - this photo was on the back of a power rack. Towel holds - just make sure your towel is strong. For pinch grip strength, try holding two plates together with the smooth sides out. 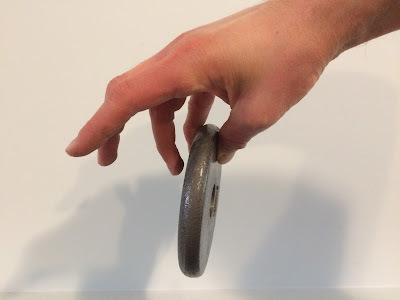 Another variation of this is to pinch a plate with just your pinky or ring finger. This is a trick I learned from Josh Bryant and works great to build strength in those fingers that are first to go when your grip starts giving out. Check out this old video I did back in 2010. 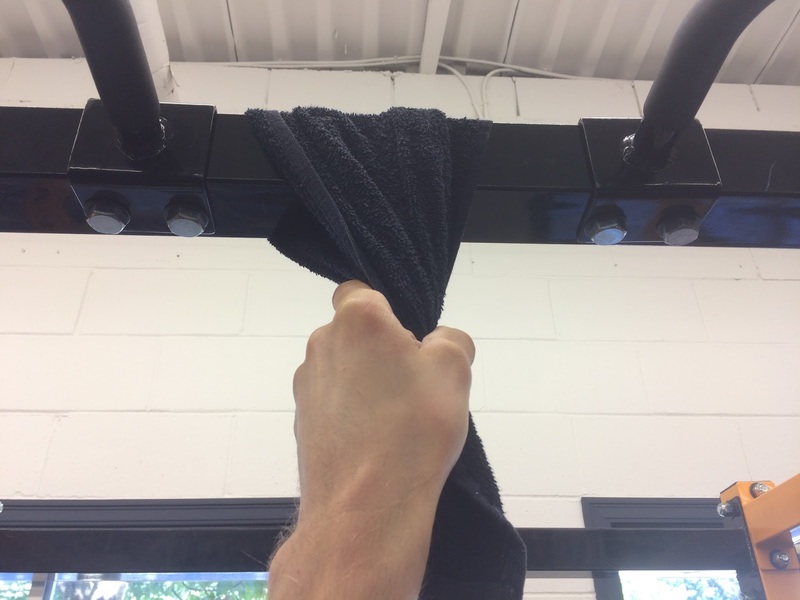 It shows some creative ways to train your grip in a typical gym without fancy grip equipment. Sorry, my presentation is dull. Apparently, I didn’t have a personality or know how to smile in 2010. In addition, if you do want to invest in some grip training tools, check out Elitefts' grip tool selection. Since I rarely come up with puns, I can’t resist to end this post with this one – get a grip! The Grip Master's Manual and Mastery of Hand Strength, Revised Edition both by John Brookfield. John is a highly accomplished grip-strongman who has performed some amazing feats of hand strength. 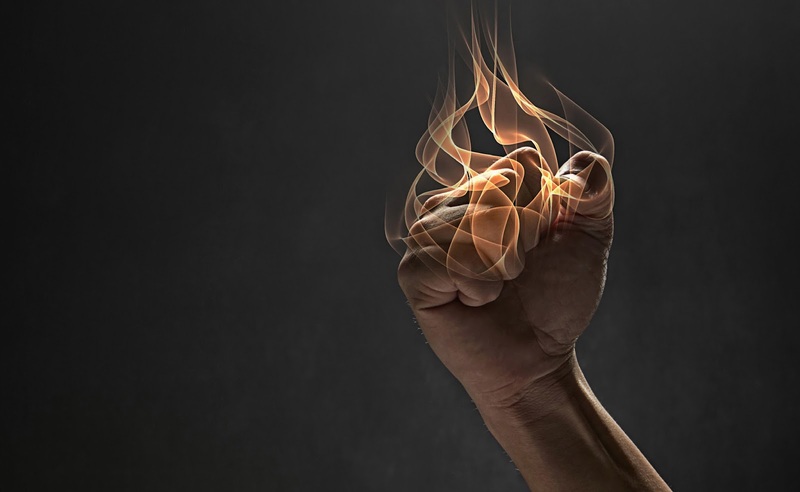 If you want to really take your grip to the super-human level, these books are for you. Andrew, which of these exercises (or others) would you best recommend for rock climbing/bouldering grip training? Jeevin, the hanging variations, preferably with more of an open hand.